There are three ways to create an animated sketch on Clasrisketch. You can either grab a photo using your phone or tablet camera , import a photo from your photo library, or use a blank canvas. 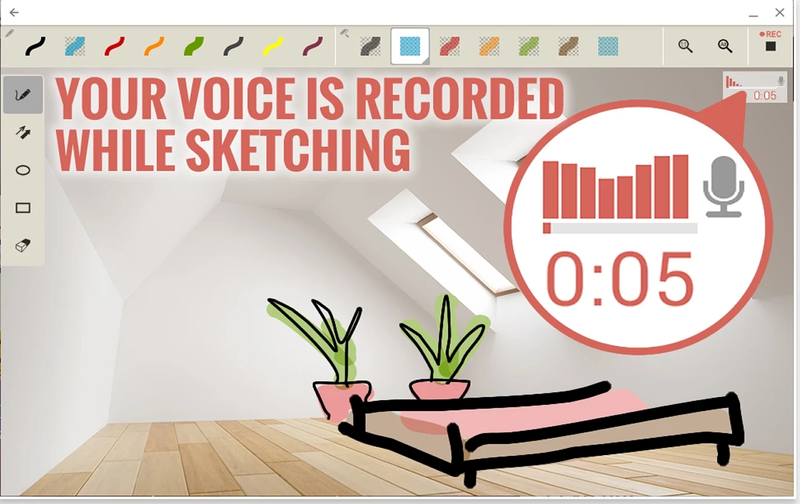 You can start annotating your picture by drawing on it, adding lines and shapes, highlighting specific parts, while recording your own voice as you work. 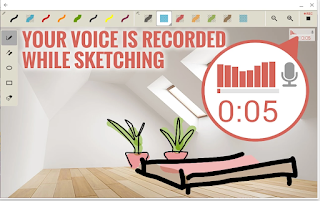 The finished product is a screen recording of your sketch which you can then share with others via email, Facebook, Google+, Twitter or other social networks. The shared sketch can be played in any browser and without the receivers having to install Clarisketch. Clarisketch works on Android operated devices as well as Chromebooks.